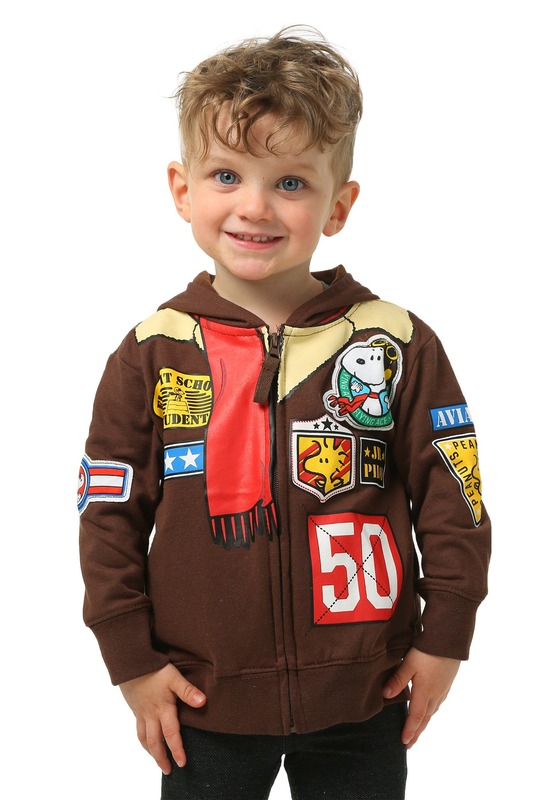 All-over print of flight patches; hood has fold-down flap with mesh-covered "goggles"
Is your kiddo one adventurous little tyke? Well, so is Snoopy! The Peanuts character has been heading on his own adventures ever since 1950! At different points in the Charles M. Schulz comic strip, he's been the Easter Beagle, Joe Cool (the most popular kid at school) and, of course, a top notch World War I pilot who fights against the Red Baron. 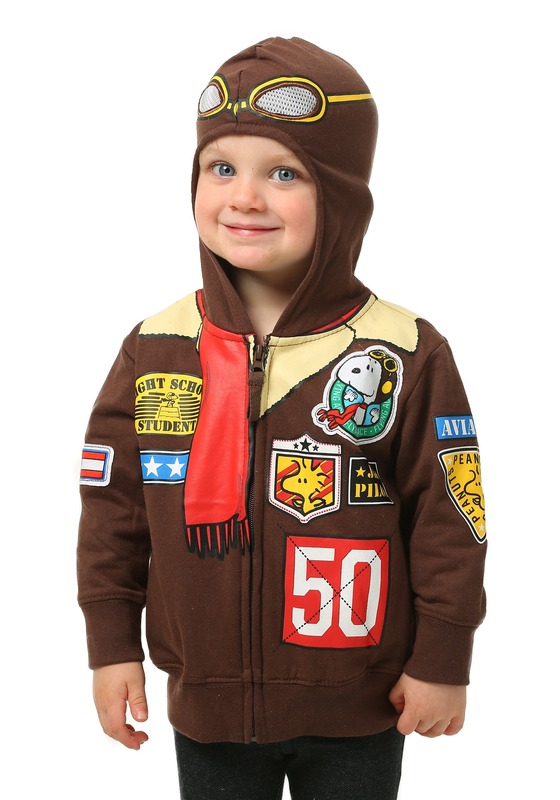 If that's the kind of wily character your kid is, then he might enjoy dressing up in this Snoopy bomber jacket hoodie! 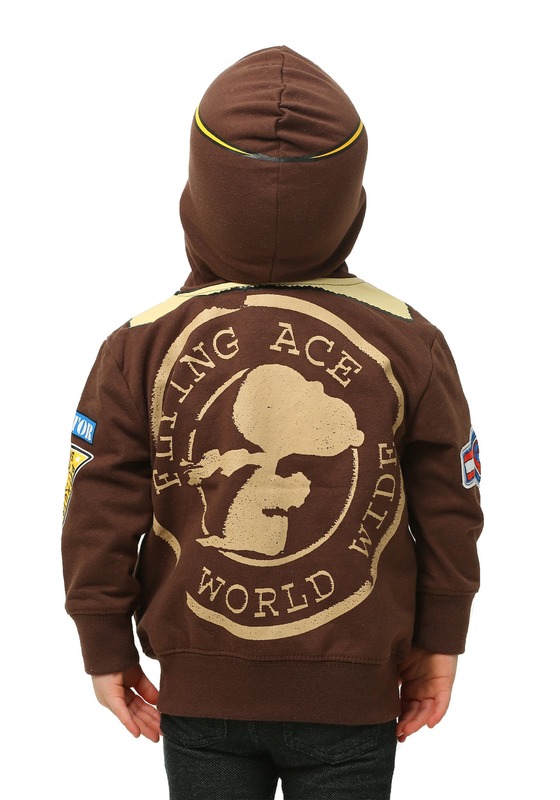 This zip-style hoodie is based on the classic Peanuts character, Snoopy. 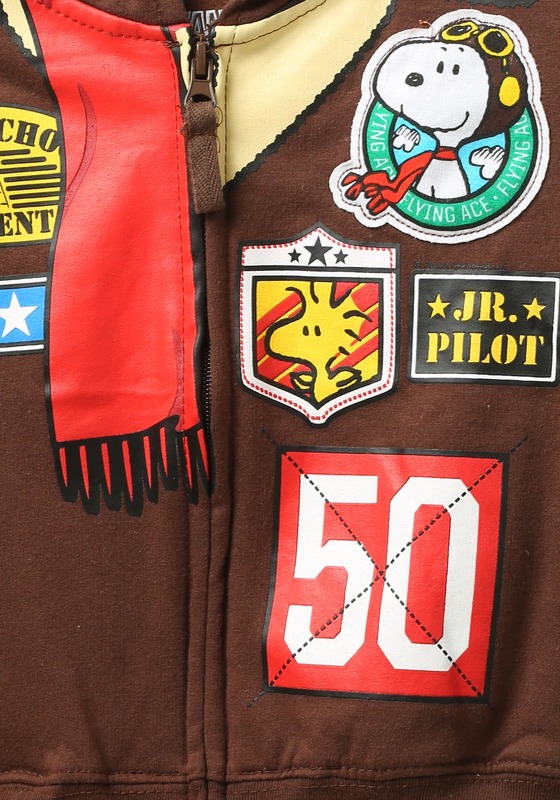 The front even features a bunch of patches based on the Charles M. Schulz strip, with themes like Snoopy and Woodstock on them. The hood flips up to reveal a pair of fake goggles on top, so your child can feel like a real pilot every time he decides to wear the hood. Now all you have to do is find him a little yellow bird to be his wingman!